DS partners with Washington Area Women’s Soccer League! 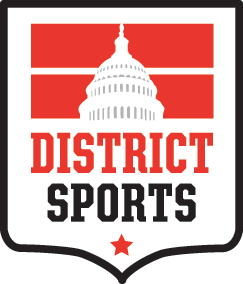 District Sports is pleased to partner this fall with the Washington Area Women’s Soccer League (WAWSL). Since 1982, WAWSL has encouraged life-long soccer involvement at all skill levels by supporting fair and competitive play, promoting women’s health and fitness and actively developing new players. WAWSL and District Sports are natural partners committed to equitably growing and supporting the sport here for all willing and able D.C. residents. Effective this fall season, District Sports will begin to manage the operations of WAWSL – helping with key elements of league administration including registration, field booking and scheduling. By providing professional league management support to WAWSL’s all-volunteer Board of Directors, we hope to help sustain and grow the league for it’s many devoted participants. Looking to bring a squad to WAWSL or jump on as a free agent? The league is forming now for Saturday’s this fall! Get all the details here!